Akihiro Ida was born in Japan in 1971. He received B.Math and M.E. degrees from Nagoya University in 1994 and 1996, respectively. In 2008, Chuo University awarded him a Ph.D. degree in mathematics. In 2000-2012, he researched and developed linear solvers at VINAS Co., Ltd. In 2012-2015, he worked as an assistant professor in the Academic Center for Computing and Media Studies, Kyoto University. 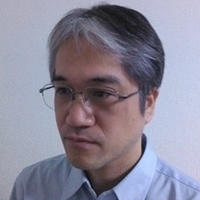 He currently works as an associated professor in the Information Technology Center, The University of Tokyo. His research interests include discretization methods for integro-differential equations, numerical linear algebra and high performance computing.